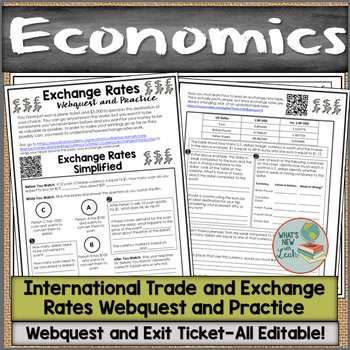 This engaging webquest is all about Exchange Rates for an economics unit on international trade. 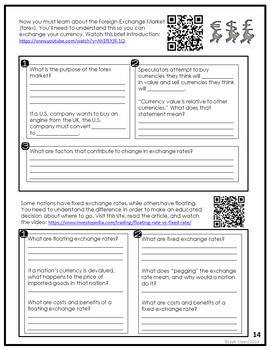 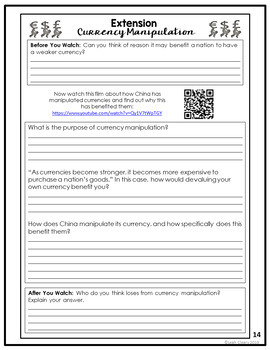 Introduce your students to the concept of an exchange rate. 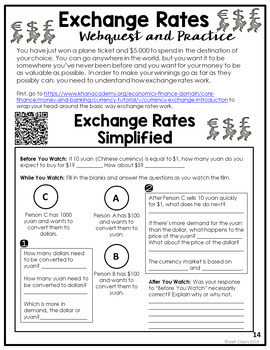 They will learn about how exchange rates work, the forex, fixed and floating exchange rates, how to read an exchange rates table, appreciation and depreciation (and who wins and loses in these scenarios), and currency manipulation.